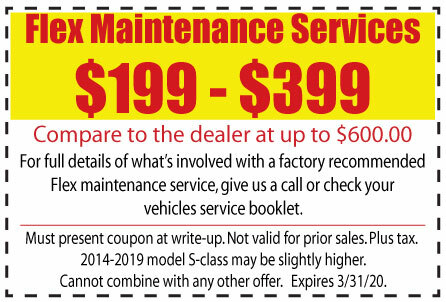 Take part in our service specials while you can. They are for a limited time only. Offers are for a limited time only! *Competitive pricing information was obtained directly from Mercedes-Benz dealers during September 2017. BenzTek is an independent repair shop and is not affiliated with Mercedes-Benz of North America or Daimler Benz AG. Copyright © 2015 BenzTek Inc.